This month, I-AM Mumbai won the Indian subcontinent’s Largest Retail Design and Visual Merchandising Award for the work executed for IDFC Bank. I-AM won this prestigious award in the ‘Service Retail – Specialty Store’ category. In-Store Asia is the largest retail event in the Indian Sub-continent and features an Expo, Convention and Awards on Retail Experience Design, Shopper Marketing and Retail Solution Provision. I-AM conceptualized and designed IDFC Bank’s revolutionary branch design. The design for the bank revolves around the principles of being fresh, professional, friendly and approachable.As IDFC Bank’s goal for Consumer Banking is to set new industry benchmarks for simplicity of service and customer orientation, I-AM was tasked with designing a branch that was transformational and brought alive the essence of the brand. I-AM continues to work with the bank on a national roll out programme. 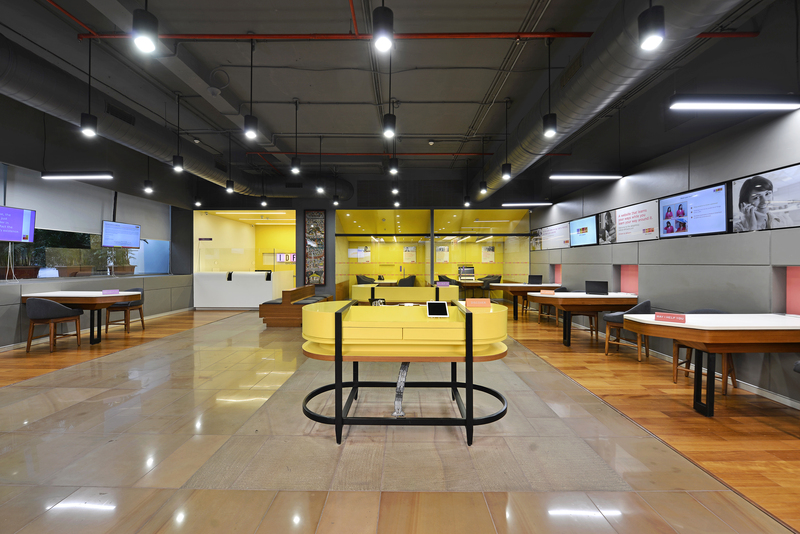 The design reinforces IDFC’s image as the ‘go-to bank’ for customers with a focus on being an approachable, digitally enabled nature and an optimum solutions provider. I-AM designed open, modern and clutter-free spaces to enable customers to experience comfort when interacting with bank staff. The design segregates the consumer service area and the bank staff workspaces into two distinct zones, creating a new approach to banking. The transactions and advisory sections were simplified and made consumer-centric. The warm brand colours lend to the vibrancy and “Un-Bank” look of the branches. Commenting on the win, Brian Pinto, Country Head, I-AM, said, “We are absolutely thrilled to win this award. The design is not only innovative within the category but also creates a distinctive and memorable brand experience. This award reinforces I-AM’s credentials in creating path-breaking brand experiences”.